The New York Times published an article on May 28, 2012 regarding the high anesthesia charges associated with colonoscopy. What people need to realize is that anesthesia charges apply not just to colonoscopy, but ANY procedure that requires general anesthesia... tonsillectomy, appendectomy, gallbladder surgery, ear tube placement in kids, etc. With any procedure requiring general anesthesia, a patient is going to receive THREE bills... not just one which is what most reasonable people think. Sometimes the hospital and anesthesia charges are bundled into a single bill. Often, patients mistakenly focus on the surgeon's charges thinking that's where their largest out-of-pocket cost is going to lie. However, the surgeon's fee is almost always the lowest of the charges. The GI doctors actually performing the colonoscopy procedure got paid around $200. The anesthesia charges were around $2000 or 10x more (note that insurance coverage was an issue in this article and IF insurance did cover, out-of-pocket charges would have been significantly lower). And than... if the procedure is done in the hospital, the hospital charges will often be around $5000 or 25x more. Now if anesthesia did not participate with my insurance company, than I would have been fully responsible for anesthesia's full charge of $1,400. This situation is what the New York Time's article mainly focused on. SO what is a cost-conscious patient to do? Rather than focusing on the surgeon doing the procedure, the biggest cost-savings will occur negotiating with the hospital followed by anesthesia. OR... avoid having procedures done in the hospital altogether to avoid hospital charges followed by avoid general anesthesia if at all possible and stick with local anesthesia alone. 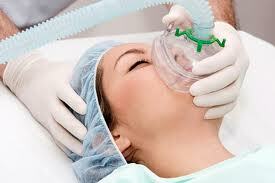 You will than ONLY have to deal with surgical charges which the surgeon should be able to inform up-front. WHY do surgeons do procedures in the hospital rather than the office? Beyond patient and procedural factors which may require general anesthesia, procedures may preferentially be performed in the hospital due to money. No big surprise there, but it may not be for the reasons people may suspect. Let's take a real life example... balloon sinuplasty. Balloon sinuplasty is an innovative minimally invasive surgical procedure to treat chronic sinusitis. Prior to 2011, this procedure was almost always performed in the operating room in the hospital though it could have been performed in the office. The balloon used for this procedure costs around $2000 and is not reusable. The reimbursement for the surgeon to perform this procedure was around $200+ depending on the number of sinuses addressed and insurance company. SO... if balloon sinuplasty was performed in the office prior to 2011, the surgeon would have spent $2000 to do the procedure and than would have gotten paid only $200+ meaning a loss of ~$1800. Why not charge the patient for the balloon device? Because it is called balance-billing and it is illegal. So what is a surgeon to do if a patient desires balloon sinuplasty and yet the surgeon doesn't want to lose money? You do it in the hospital... where the hospital eats the $2000 cost of purchasing the balloon device... and the surgeon still gets paid $200. However, starting in 2012, insurance companies started reimbursing surgeons for the cost of the device which is why all of a sudden, balloon sinuplasty is now being performed in the office. This type of financial calculation occurs all the time in medical offices. Even a pediatrician's office where gardasil vaccination is often not offered... Why? Because the vaccine costs more than what the pediatrician will get reimbursed to give it.